How to I update my card details on a subscription? 1) If you go into your account, there should be a option to pay again for the failed order. You can then pay for that failed order via the normal checkout process with the new card. You’d need to do this for each future subscription renewal after they fail with the old card details. This is good if you only have one or maybe two renewals left. 2) You can set up a new subscription with new card details. We can then cancel your old subscription without penalty (so you keep your discounts). If this means you end up more more renewals than you want, we can cancel the new one at any time for you without penalty. I.e. if you only want 2 renewals, and you need to sign up to a new 3 shipment subscription, just let us know and we can cancel it after the first 2 renewals without any penalty, so you keep your discounts. Previous post: Do you have any tips to help my weight loss? 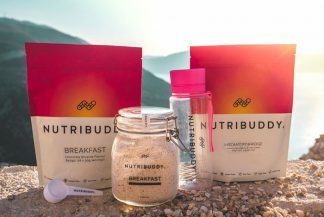 Next post: What liquid should I use Nutribuddy Shakes for best results?